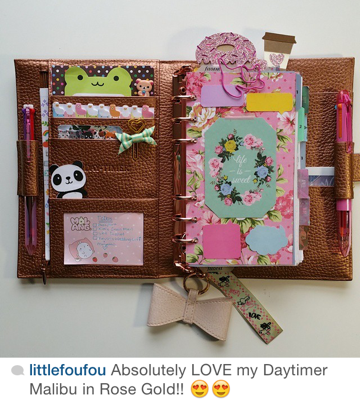 Your favorite Day-Timer organizer has a new color! The Malibu is now featured in Rose Gold for a limited time only. You’ll fall in love with it again for all the same reasons you love your Malibu; soft, high quality genuine leather, flexible leather, zippered pockets. There are endless pockets to store all your sticky notes, stickers, paper clips, business cards and more! It’s the perfect organizer to hold everything you need! 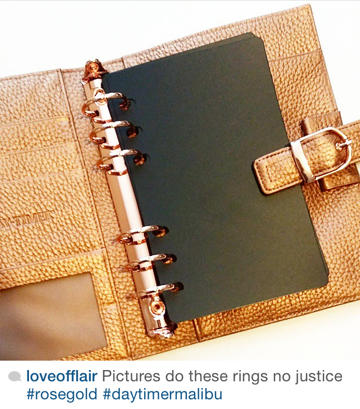 It also has two pen loops, which is perfect if you color code your plans and appointments! Not only is it extremely functional, it’s trendy and fashionable with its Rose Gold leather and matching Rose Gold hardware. The new Rose Gold Malibu is a perfect match for all your accessories and helps you look fabulous while staying organized. 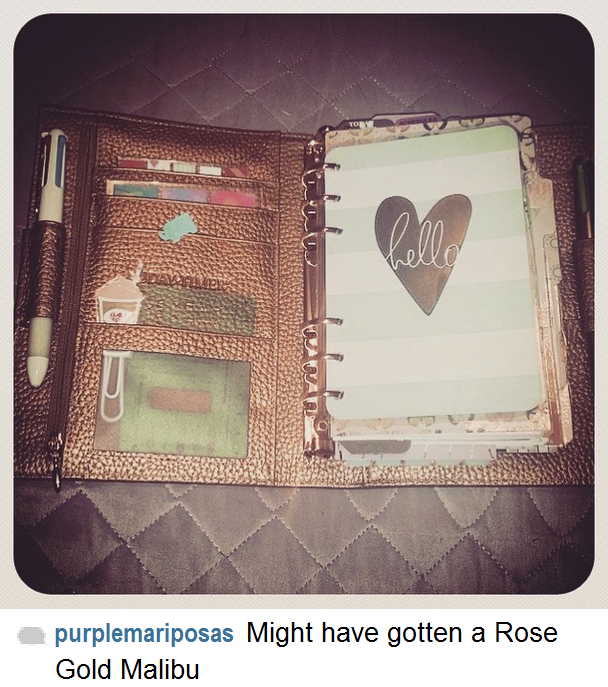 It’s already a favorite, just check out all these pictures from our fans! Love everything about the new Rose Gold Malibu? Order yours today here.